The Houston Astros are back in front of the MLB American League West after defeating the Oakland Athletics 9-4. World Series champions the Astros avoided a series sweep on Sunday, having lost the opening two games to the Athletics. With the win at the Oakland Coliseum, the Astros (75-49) moved into a tie for first in the AL West. Houston got five home runs from Yuli Gurriel, Evan Gattis, Marwin Gonzalez, Martin Maldonado and Alex Bregman to pull away. 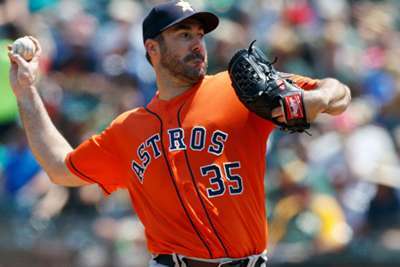 Astros starter Justin Verlander threw 5.3 innings and surrendered four runs to pick up his 200th career victory. Maldonado and Bregman each finished with three hits. Khris Davis tallied three hits and three RBIs for Oakland in the losing effort. Jose Urena threw a complete game and allowed just one run in the Miami Marlins' 12-1 rout of the Washington Nationals. Cincinnati Reds shortstop Jose Peraza had three hits, drove in two runs and scored two more against the San Francisco Giants, who lost 11-4. Kansas City Royals starter Heath Fillmyer allowed seven hits and six runs in a 7-6 defeat to the Chicago White Sox. 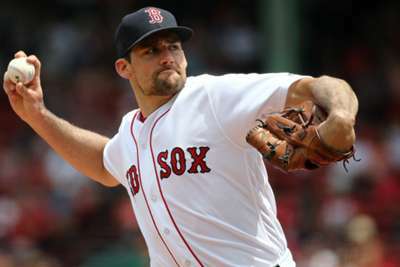 Shortstop Paul DeJong went 0 for four with three strikeouts in the St Louis Cardinals' 2-1 loss to the Milwaukee Brewers. Adam Frazier belted a home run to right centerfield in the 11th inning to give the Pittsburgh Pirates a 2-1 walk-off win over the Chicago Cubs. Two of the AL's best teams will kick-off a four-game series at Fenway Park on Monday. Both the Indians and Red Sox will send 15-game winners to the mound. Corey Kluber is set to start for Cleveland, while Rick Porcello will pitch for Boston.